Which High-profile Premier League Players Could Move In January? Premier League clubs will once again have the opportunity to strengthen their squads when the transfer window opens on January 1. While bringing in reinforcements will be a priority for some clubs, retaining top performers could be a more pressing issue for many others. Liverpool have already kicked things off, announcing a world record transfer for a defender by capturing in-demand Southampton centre-back Virgil van Dijk for a reported £75million. Here, Press Association Sport looks at some other high-profile players who may be set for imminent moves. The Brazilian had his head turned in August when he was the subject of some staggering offers from LaLiga leaders Barcelona. 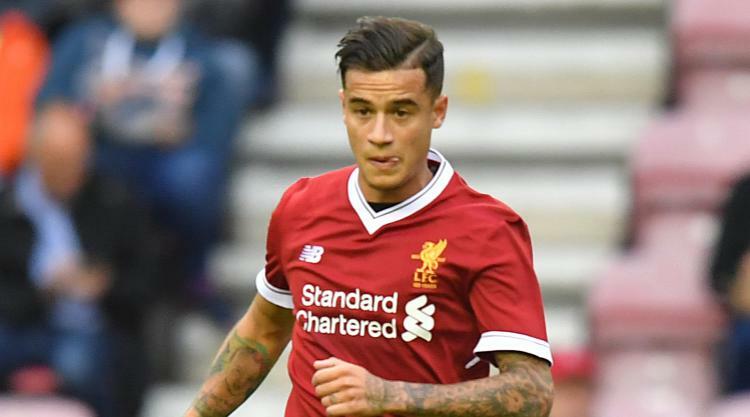 The Catalan club were searching for a replacement for Coutinho's compatriot Neymar after reluctantly seeing him move to Paris Saint-Germain in a world-record deal. Despite Coutinho's transfer request, Liverpool stood firm and managed to keep their star man at Anfield. After missing the first month of the season through injury, the talented playmaker - who signed a new five-year deal last January - has undoubtedly added a few more millions to his price tag with some superb performances and 12 goals in all competitions. Reds' owners Fenway Sports Group will be braced for another Barca bid. Things appear to have turned sour for Luiz during his second spell at Stamford Bridge. Eyebrows were raised when Chelsea re-signed the defender from PSG on the final day of August 2016 but he quickly silenced his doubters by playing a prominent role in last season's title success. This campaign has been a different story, however, and he has made just one appearance since the end of October. Manager Antonio Conte has repeatedly insisted that the Brazilian's absence is down to a knee injury but Luiz's initial omission coincided with him apparently questioning his manager's tactics in the Champions League defeat at Roma. The 30-year-old's days in west London could be numbered, with Real Madrid and London rivals Arsenal linked with moves. Gunners manager Arsene Wenger faces the dilemma of selling creative German Ozil and Chile forward Sanchez for knock-down fees in January or losing them for nothing when their contracts expire in the summer. The Frenchman appears to have already made his decision and has continually stressed that he will do the latter. It appears to be the logical choice. After a season in the Europa League, Arsenal are desperate for the status and financial windfall which comes with Champions League football and cashing in on the talented duo now would severely hamper their top-four ambitions. That said, Wenger's wishes are unlikely to detract bids from Europe's top clubs in the new year - including some Premier League rivals - and he will have to fight hard to once again deter the inevitable interest. Heavily linked with a move away from Goodison Park in the summer amid apparent interest from Chelsea and Tottenham, Barkley is another player whose current deal will expire in 2018. The England midfielder, who was close to moving to Stamford Bridge in August, has failed to make an appearance so far this campaign because of injury problems. New Toffees boss Sam Allardyce has expressed his desire to retain the skillful albeit inconsistent 24-year-old but, because of the contract situation, the power seemingly lies with the player. Spurs, in particular, are rumoured to remain interested and - like Southampton did with Van Dijk - a serious offer could see Everton take the money and move on. The 22-year-old was predicted to be England's first-choice left-back for many years to come when he moved to United from Southampton in 2014. It has not quite worked out that way so far and he was publicly criticised by manager Jose Mourinho last season and has featured just twice in the Premier League this campaign, playing second fiddle to makeshift full-back Ashley Young. A departure from Old Trafford would be no surprise, with Tottenham and Watford rumoured to be interested in helping Shaw resurrect his stalling career. Opting to leave a club as successful as United must be a tough decision for any player but the prospect of regular football and sneaking into Gareth Southgate's Three Lions squad for next summer's World Cup may make it a little easier for Shaw.